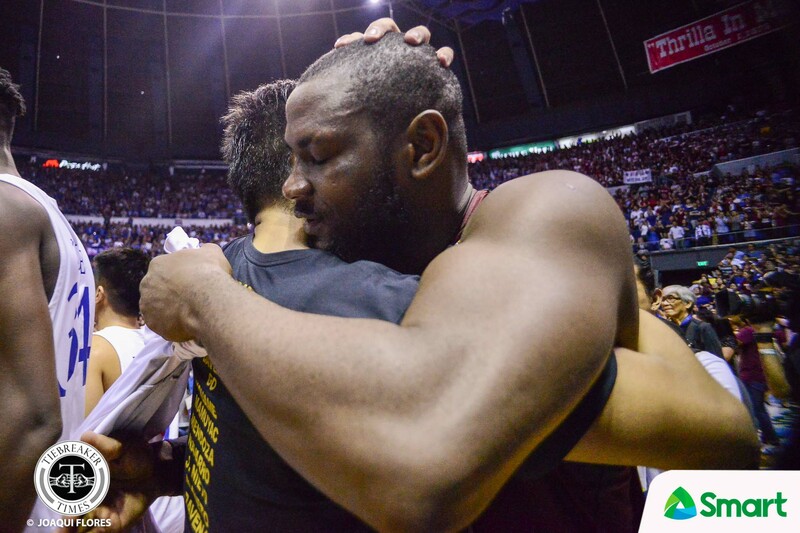 You can take away his knee brace, but you can never take away Bright Akhuetie’s huge heart for the University of the Philippines. 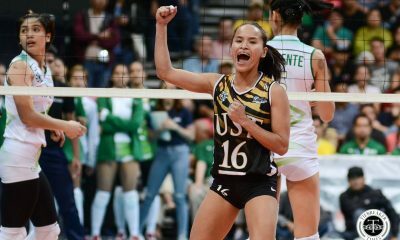 And it was full apparent in Wednesday’s tiff, when he was one knee brace away from being sidelined in the do-or-die Game Two. Prior to the game, Akhuetie was in high spirits after he was adjudged the UAAP Season 81’s Most Valuable Player, only to be staggered by an almost game-suspending infraction after Ateneo de Manila University head coach Tab Baldwin pointed out the illegal knee brace that he wore to nurse his injury – the injury he sustained in Game One. But instead of allowing a knee brace to rule him out from the decisive game, Akhuetie – with no shred of hesitation – took it right off. He walked back onto the court in a show of passion for the UP faithful and an expression of how he’s willing to leave it all on the court as a Fighting Maroon. “Yeah. That would have been up to me, but I insisted. I just can’t stay out there and not play,” the 22-year-old Nigerian shared. “You can tell that they were all happy. 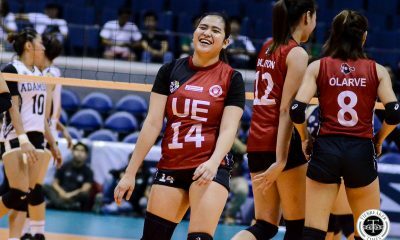 It’s been a while since the UP community were happy with our result,” the UP big man said. Moreover, as vocal as he has been throughout the season, he did not shy away from expressing his thoughts on Baldwin and what seemed to be his hard-pressed conviction of ruling him out of the game. 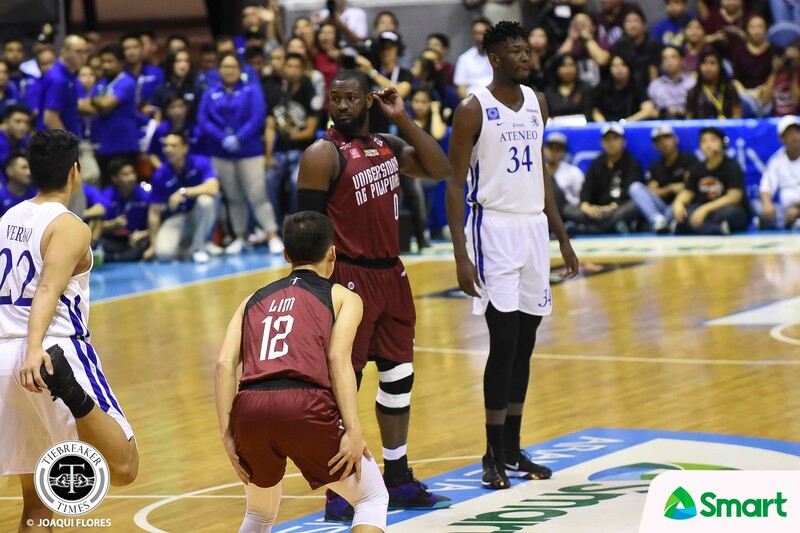 Still, despite playing through pain, Akhuetie and the Fighting Maroons absorbed a series sweep at the hands of the Blue Eagles, capped by a 99-81 beatdown. But what made this loss more bitter was that Akhuetie could have stayed on the court and played with his comrades even longer. At the end of the day, Akhuetie could not help but look back on what UP has done this season as they blew past the expectations of the masses, and proved the critics wrong. “Honestly, it felt great. Like what I’ve been saying, no one expected us to get at this level but we did. Yeah, we did great!,” the former Altas beamed. “We exceeded that! They never thought we were going to make it, especially with the way we started the season.